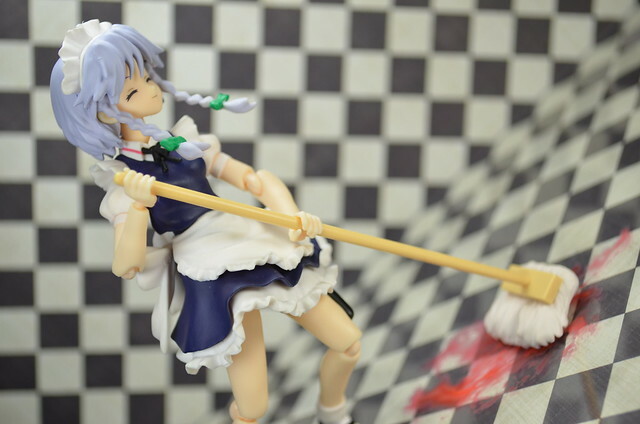 Sakuya Izayoi hard at work at the Scarlet mansion, doing housework. Hello. As you might or might not have noticed, I'm not the usual person. 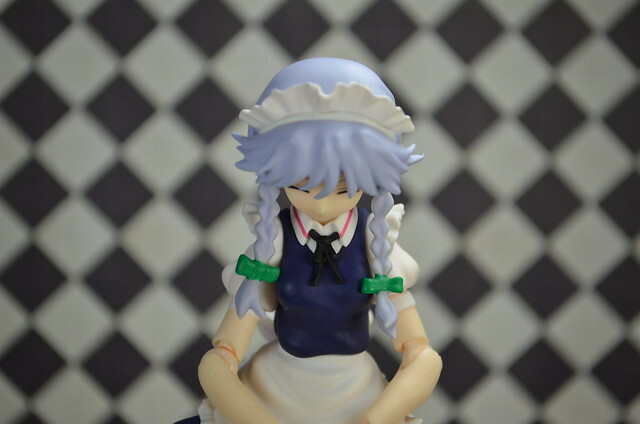 Miette-chan is on leave this week, so I'm taking care of the shrine till then. Let me tell you a little about me. I go by the handle name exilehero. I like anime and manga and the like. I've also been into photography for a while. Miette and I have been friends since years ago. I've probably have been mentioned here before. Whenever Miette says something like, "Oh I spent the whole day playing with my friends" it was probably me. 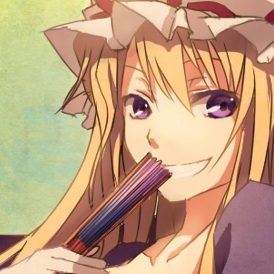 Here's the avatar I'll use; Miette posted it before. I want to take photos of things I like. 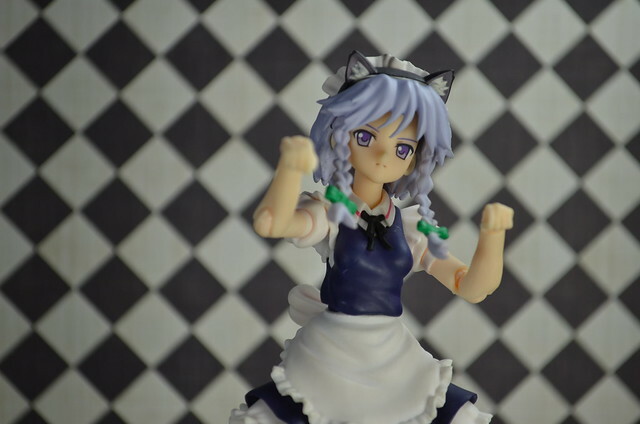 I like anime and manga stuff so figure photography seemed like a good idea since it combines many of my interests. 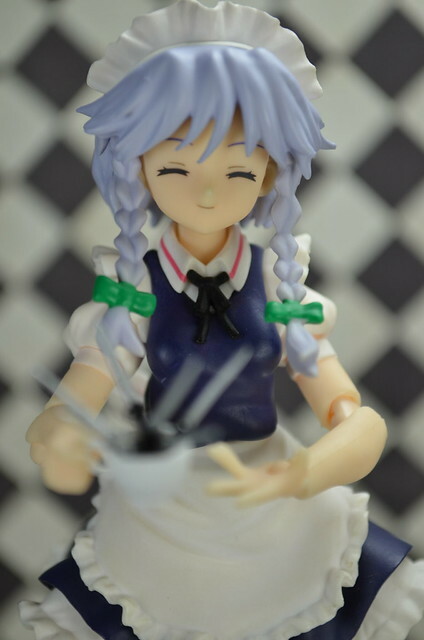 Also, I know Miette has been blogging about figma- erm, figure photography for a while so my dear friend invited me to post on the blog. The plan is for me and Miette to alternate by week, so every 2 weeks or so I would make a post. 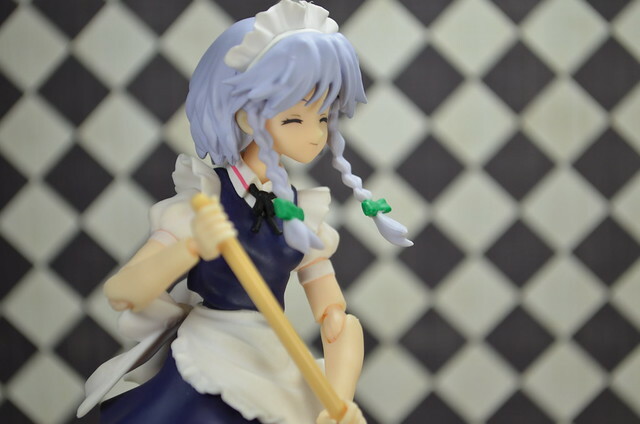 Anyway bring in the maids. So, this week we'll be visiting the Scarlet Mansion. 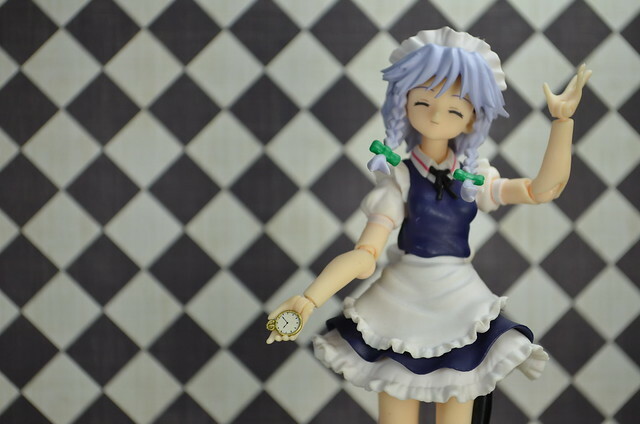 "Hey Sakuya, since you're a maid, do something cute for us, here put on this nekomimi and pose." 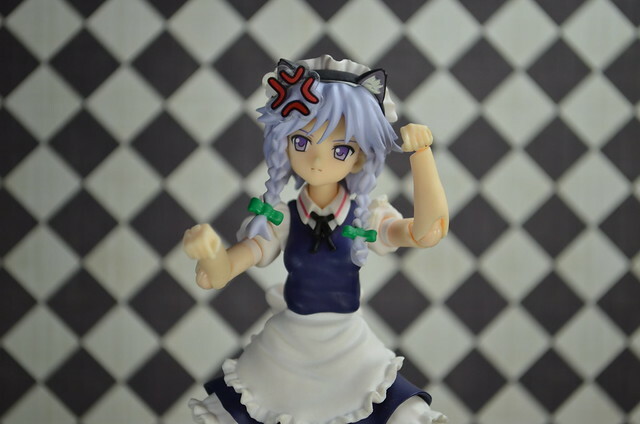 "Common, you can do a better pose than that." "Oh what's that? you have something to show us?" "Oh, you say it's getting late? I don't think it's particula-"
"Urgh. I'm not feeling very sharp all of a sudden. I've got this cutting feeling something's wrong. But that's beside the point. Let's continue." "Oh what's this? 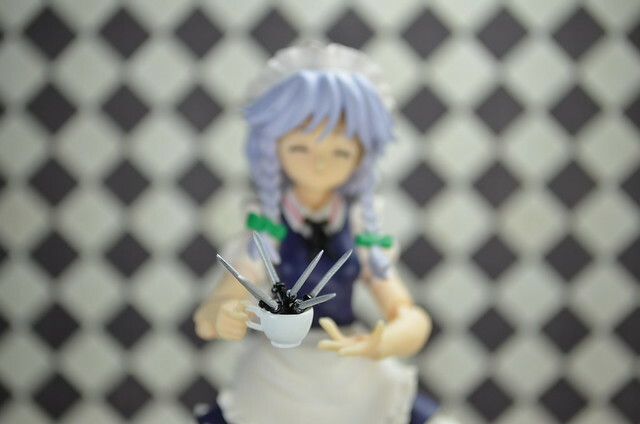 Sakuya how kind of you to bring tea. Though I can't quite make out what kind it is." 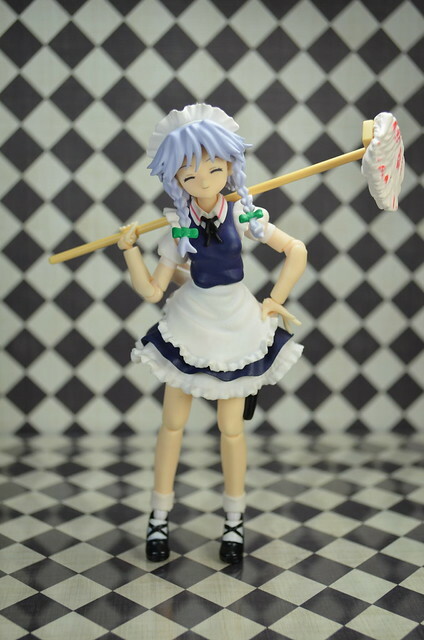 After taking out the trash, the diligent maid continues with her housework. Here's something extra. By Miette's request. Let's go 3 for 1!